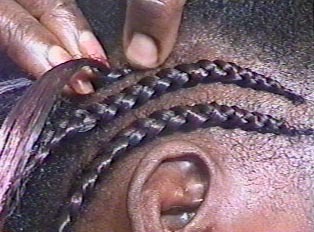 Commonly, women in a family braid each other’s hair, and it is considered a luxury to go to a hair salon. Yet one can find salons, as well as single hairdressers that do hair from their homes. Since the task of braiding and/or weaving can take up to 8 hours, one must contact the hairdresser ahead of time to make an appointment. Although trends in hair change each year, once a style has come into fashion, it is always considered fashionable.